We asked this question every way we knew how: subtly, directly, tactfully, bluntly. Always we got the same answer. Subjects persistently claimed that their behavior was not influenced by the other people present. This denial occurred in the face of results showing that the presence of others did inhibit helping. … It’s not that the relevant psychological states are caused, but rather how they are caused. The causal stories the situationist tells, as we shall see, raise questions about the reflective capacities requisite for responsibility. … Why was I so curt? Perhaps because the salesperson was inattentive. Or perhaps it’s that I’m standing on a wool carpet, or that the ambient temperature is 67.2 degrees. Why was I so amorous? Perhaps I’m in love. Or perhaps it was the smell of garlic or the feel of polyester. If situationism is right, we can play this game with every action, Worse, why should we be confident we’ve played it well? If we survey 1,000 situational factors, how can we be sure that number 1,001 wasn’t doing the work? Our grip on our motivational universe appears alarmingly frail; we may quite frequently be in the dark or dead wrong about why we do what we do. … being prey to skeptical anxiety actually recommends a theory of moral responsiblity, because there is something seriously wrong with an approach that does not leave ample room for hard cases and mixed feelings. In the end, however, I want to do a bit more than make a virtue of necessity; I claim that reflection on situationism actually enhances normative competence, because it facilitates effective deliberation. … Think again about sexual fidelity. Imagine that a colleague with whom you have had a long flirtation invites you for dinner, offering enticement of interesting food and elegant wine, with the excuse that you are temporarily orphaned while your spouse is out of town. Let’s assume the obvious way to read this text is the right one, and assume further that you regard the infidelity that may result as an ethically undesirable outcome. If you are like one of Milgram’s respondents, you might think there is little cause for concern; you are, after all, an upright person, and a spot of claret never did anyone a bit of harm. On the other hand, if you take the lessons of situationism to heart, you avoid the dinner like the plague, because you know that you are not able to confidently predict your behavior in a problematic situation on the basis of your antecedent values. … The determinants of ethical success or failure often emerge earlier in an activity than might be thought. In our example, the difficulty to be addressed lies less in an exercise of will after dinner than in deciding to engage the situation in the first place, a decision that may occur in a lower pressure, relatively “cool,” context where even exquisitely situation-sensitive creatures such as ourselves may be able to act in accordance with their values. … … from [situationism] we learn that cognitive and motivational structures are far more subversive than might have been imagined. But at the end of the day, this realization does not mean the demise of responsiblity; it marks the beginning of a process which facilitates responsibility. Only by being aware of situational threats to responsibility can we act as responsible persons in as many situations as possible. Responsibility is not a birthright; it is attained only through struggle and maintained only through vigilance. And sometimes in this struggle, people may perhaps need a little (or a lot of) help: serious reflection that is needed, I submit, will be informed by situationism. Better understanding of determinants of behavior facilitates a process of self-manipulation that allows people to take a more active and responsible role in our own lives. Perhaps the truth cannot make us free, but in this case it will help. … There is a moral imperative against allowing viewers to jump to the wrong conclusions. … What was paradoxical about visual imagery, as against written text, was its apparent plenitude, which flooded the observer with concreteness and detail yet revealed little in the absence of a surrounding discourse. Just so, the advertised product speaks only within a cultural discourse of fashion and desire, the pornographic image within a narrative of improvised fantasy. To the anthropologist who knew the cultural context, the visual image spoke volumes, but that power was also a source of danger. An uncaptioned photograph was full of undirected potential. Unlike written descriptions, which always provided some sort of context, a photograph could be supplied with any sort of meaning by the viewer — from competing scientific discourses or unwelcome popular ones such as racism. It all too easily escaped from professional control. Similar fears are heard today from anthropologists who deem certain films to be dangerous to the public (or their subjects) through what they fail to show or to say. There is a moral imperative against allowing viewers to jump to the wrong conclusions. … The same threat of undisciplined interpretation may have been responsible for ethnographic films of the same period developing primarily into illustrated lectures, in which a text provided the supporting framework for the images. If anthropologists had felt confident enough to contextualize the contents of their films by any other means, they might well have done so, but this was often regarded with suspicion as “art.” Thus we see the visual in anthropology kept in safe bounds, like a bomb with the detonator removed. … The edited films that emerged from the project in the 1950s are unrelentingly didactic, with Mead’s voice constantly guiding us and, at one point, telling us, “You will have to watch very carefully to follow any of this at all.” In part, this approach can be explained by American “educational film” conventions of the time; but by asking viewers to find what they are told they will find, it may also indicate an intellectual predisposition of the research itself. In support of this is the account given by Bateson, which suggests that the photographs were subordinated to and seen very much in the context of Margaret Mead’s prior written interpretation of the events. MEAD: The effort was to hold the camera steady enough long enough to get a sequence of behavior. BATESON: To find out what’s happening, yes. MEAD: When you’re jumping around taking pictures . . .
BATESON: Nobody’s talking about that, Margaret, for God’s sake. BATESON: I’m talking about having control of a camera. You’re talking about putting a dead camera on top of a bloody tripod. It sees nothing. BATESON: I’m sorry I said artists; all I meant was artists I mean, artists is not a term of abuse in my vocabulary. BATESON: Well, in this conversation, it’s become one. … Instead of campaigning for the creation of a mature visual anthropology, with its anthropological principles all in place, we would be wise to look at the principles that emerge when fieldworkers actually try to rethink anthropology through use of a visual medium. This may lead in directions we would never have predicted from the comparative safety of theory. … Mimesis alone is rarely enough, because purely experiential responses across cultural boundaries can be profoundly misleading. … If we consider the visual as offering pathways to the other senses and to experience more generally, then what may be required of the viewer will often combine psychological or kinesthetic responses with interpretive ones. For example, a work that invites us to enter into a visual narrative as a participant may also require us to place that experience within the context of how the experience has been created for us, and what indications there are of the visual anthropologist’s own engagement with the situation at the time. The anthropologist may never be able to articulate this fully outside the matrix of the work itself. … Indeed in film, metaphor is almost always present, in the sense that environments and images of objects are persistently associated with feelings, actions, and states of mind. … What activities are encompassed by visual anthropology? There is, on the one hand, the visual anthropology that studies visible cultural forms. On the other is the visual anthropology that uses the visual media to describe and analyze culture. In Sol Worth’s terms, this the difference between “using a medium and studying how a medium is used.” The two will sometimes overlap — the study of visible systems sometimes demands visual communication — but the first form is essentially an extension of traditional anthropological concerns into new subject areas. The second proposes a much more radical break with anthropological modes of discourse. … As we move into a world of multiple centers without margins, every fact of space awareness is altered both in private and public existence. Today the entire human community is being translated into ‘auditory space,’ or into the ‘field of simultaneous relations,’ by electric broadcasting. That essay is from 1961! For more on sound and listening, see previous posts from Don Ihde’s Listening and Voice: Phenomenologies of Sound. … A later anecdote from Kristin recalls another pre-Socratic philosopher, Parmenides. Kristin was five, and learning how to read. She was learning to recognize syllables and to sound them out so as to be able to recognize words. She was quite proud of her success. Kristin’s father was somewhat surprised at that particular expression of gratitude. “Why?” he asked. … Descartes taught us to do philosophy by “starting over.” Instead of assuming the correctness of what my teachers have taught me, or what the society around me seems to accept, I am to make a fresh beginning to see if I can show by some means of my very own that I really do know whatever it is I claim to know. … It isn’t that “starting over” is all there is to doing philosophy. That isn’t true at all. But learning to be comfortable with “naive” questions is an important part of doing philosophy well. 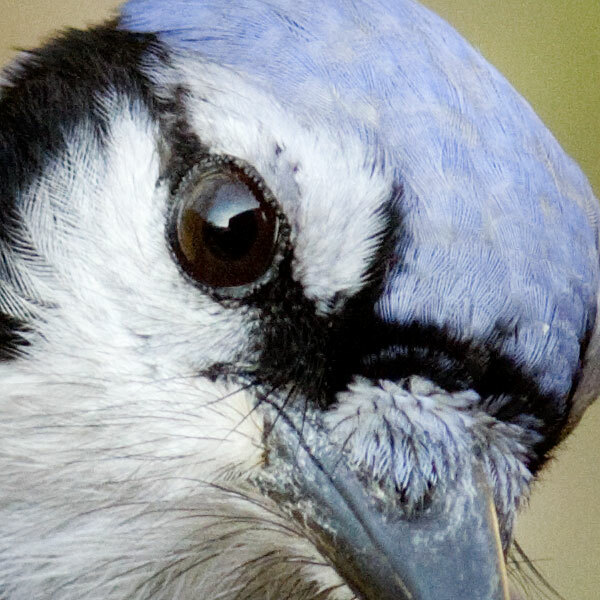 … Consider the case of the blue jay that was housed in the laboratory of two psychologists, Thony Jones and Alan Kamil, at the University of Massachusetts. For the sake of the experiments they were planning, the researchers maintained the jay on minimum rations. One day they noticed something very odd. The jay had picked up a piece of newspaper and worked with it to form a crumpled wad. It had then thrust this object through the wires of its cage and was using it to sweep up food pellets that had spilled on the ledge. As soon as the pellets were within reach, the hungry jay picked them up in its beak and devoured them. The researchers then provided the bird with various objects — a feather, a paper clip, a piece of straw — and the jay was immediately able to make good use of them all. What’s more, six other jays in the laboratory subsequently began to use food rakes in the same way, as if they had learned by observing their brilliant roommate. … As a group, corvids are recognized as the most playful of birds, much given to games for one player such as drop-and-catch, hang-upside-down-under-the-branch and balance-on-the-flimsy-perch. Occasionally, they invent complex social games, such as tug-of-war or king of the castle. (In the latter, one bird stands on top of a mound and brandishes a small stick, while its playmate charges towards it and attempts to grab the object.) Sometimes their play even reaches out to engage a member of another species. For example, a young raven developed a game with a dog, in which bird and mammal — apparently reading each other’s gestures and signals of intention — took turns chasing one another around a tree trunk. Ravens have also been known to play catch-me-if-you-can with wolves, a challenging pastime in which the birds are always at risk. … if one raven slides down a snowbank or a piece of wood, all the other birds in the group will likely follow suit. If one hangs upside down from a wire and passes a piece of cheese from its foot to its beak and back again, another may line up beside it and try to do the same. … [A] tame raven on record regularly spoke a human word to another raven. Having head the German word komm when he was called for a meal, the bird used the same sound to call his mate to be fed. … Derek Goodwin noticed that his captive Eurasian jays scolded him by repeating words and whistles they had learned from him. When a dog ran through the garden, the jays often barked; they miaowed at the sight of a cat. “At such times,” Goodwin recalls, “I was reminded of a small child greeting an animal with an imitation of its cry.” He also heard wild jays croaking like herons as gray herons flew overhead and imitating tawny owls while mobbing them. … Eurasian jays mew querulously when they are hungry and murmur tenderly when they come to offer food. They screech when they are alarmed and pant huskily if they intend to attack. American crows are even more versatile, with an estimated vocabulary of more than two dozen separate vocalizations: assembly calls, scolding calls, dispersal calls, threat calls, contact calls, hunger calls, feeding calls and many more. At least some of these sounds appear to correlate with specific moods (of peacefulness or aggression, for example) and may serve to communicate these feelings to other birds. Ravens — which probably produce a greater variety of sounds than any other animal except ourselves — are variously estimated to have between eighteen and sixty-four recognizably different kaa’s, kruk’s, krrk’s, nuk’s, clucks, rattles and trills, which presumably permits them to express a variety of meanings. … The story of the destruction of East Timor’s emerging democracy is heart-breaking, particularly as western intelligence knew in advance every move the Indonesians were making. The archives show appeals by the Timorese leaders to ‘stop the Indonesian isolation of our territory.’ They got no answer. The film [Death of a Nation: The Timor Conspiracy 1994] shows why in a telling exchange between [filmmaker] John Pilger and Alan Clark, the British Minister of Defence. Britain sold arms to Indonesia during the attack on the Timorese people. PILGER: Did it ever bother you personally that this British equipment was causing such mayhem and human suffering? CLARK: No, not in the slightest, never entered my head. The fact that we supply highly effective equipment to a régime like that then is not a consideration as far as you’re concerned? It is not a personal consideration? I ask the question because I read you are a vegetarian and you are quite seriously concerned about the way animals are killed. Doesn’t that concern extend to the way humans, albeit foreigners, are killed? That is from an essay “Death of a Nation” by Ken Loach found in the book Imagining Reality eds. Mark Cousins and Kevin Macdonald (1996) [first printed in the French film magazine Positif (1994)]. This post is tied to the previous. I don’t mean to pick on the British; I expect I could pick a person at random anytime anywhere and find similar, if not nearly so devastating, contradictions in behavior. … The topic of person evaluation invites unsettling discussion of “moral luck.” Despite familiar convictions to the effect that the moral quality of our lives is somehow “up to us” or “in our control,” people’s moral status may to a disquieting degree be hostage to the vagaries of fortune. Of particular relevance to situationism is luck in circumstances, the thought that every person may have behaved very differently than they actually did were their circumstances different. Had I lived in Germany, Rwanda, or any number of places during the wrong historical moment, I might have led a life that was morally reprehensible, despite the fact that the life I lead now is perhaps no worse than morally mediocre. … Given counterfactual indeterminacy, and given the idea that person evaluation is, as we’ve seen, committed to counterfactual predictions regarding the evaluated person’s behavior in unencountered situations, it begins to look as though person evaluation will inevitably be indeterminate — there’s just nothing to say one way or the other about the sort of person anyone is. And this is a queasy realization if ever there was one. Moreover, situationism seems to exacerbate this discomfort. Think of someone you admire, and then ask what might ground your confidence that she would not have gone along with the Nazis had she lived under the Third Reich. A likely answer appeals to features of her character: Someone that principled, decent, or kind would not participate in or condone atrocities no matter how deranged her country’s politics. Since skepticism about character in effect prohibits this kind of thought, it might be thought to erode the bulwarks against luck in circumstance. Indeed, situationism appears to make things still worse: It tells me I might have behaved poorly had I been in a hurry or had I not found a dime*. The queasy realization turns out to be not “had things been different” but “had things been just a little different.” The disconcerting indeterminacy extends not just to distant loosely specified counterfactual situations but to proximate counterfactuals specified in substantial detail. … Since I’m inclined to think that ethical discourse is centrally concerned with the regulation of interpersonal behavior and sentiment and therapeutic discourse is centrally concerned with functioning in social relationships, on my view the affinities run pretty deep. While it sounds rather precious, there’s more than a little to the thought that ethical practice is a sort of informal group therapy, one that serves to maintain and repair the social fabric. According to Habermas, psychoanalysis proceeds as analyst and client cooperatively develop a narrative scheme by which to interpret the client’s history; unlike “the strict empirical sciences,” narratives are evaluated not by controlled observation but by their role in “self-formative processes.” In this way of thinking, the standard for clinical narratives is not empirical adequacy but therapeutic efficacy. Something similar might be said for ethical narratives; the question is not whether a narrative is descriptively accurate but whether it is ethically compelling — does it help the hearer, subject, or teller to do better? … In [some] circumstances, the relevant interests are so specific that either the conceptualization is implicit or there is little harm done by failing to contextualize. But other times we should take the trouble to think and speak in a more qualified way; the disloyal husband is not necessarily a disloyal friend, and the person who evinces compassion in his political commitments does not necessarily evince compassion with his intimates. For cases like these, there may be much at stake for how we judge and treat other people, and it is therefore appropriate to adopt a more nuanced approach. Taking these pains should not unduly problematize person evaluation; indeed, it should help effect habits of judgment that are more fair-minded and sensitive. Robust traits and evaluatively integrated personality structures are constructs that underwrite substantial stretches of evaluative discourse, but these stretches too often enable unfair condemnation, on the one hand, and unwarranted approbation, on the other. … Our consciousness comes alive in watching others’ actions, which resemble but differ from our own. We respond to the stimulus of familiarity, but also to the stimulus of difference. This is corporeal knowledge, only lightly mediated by thought. … Karam, the boy who soon emerged as the main protagonist in the [second of five] film[s], was someone I hardly knew at the time, nor in fact ever knew very well. All the same, I found in him an expression of many of the feelings that the others were keeping to themselves. He was the smallest of the group and seemingly the most vulnerable. I could tell he was often unhappy, but I was touched by his courage in living with his unhappiness. As he told me, he managed his life in such a way as to keep himself busy and not to disappoint his family, who had placed great hopes in him. It was at this time that I began to understand what children could teach me about the strengths and skills they develop early in life. It was also a lesson in what children have to give up, or unlearn, in the process of becoming adults. I realized that what I most admired in children was their surprising versatility compared to adults, their “experimental” side, their way of working out a view of the world as they live it, as they speak about it. … Filming them was a way of allowing the viewer to discover the school as they were discovering it, but it was also a way of examining the smaller worlds within the school: the world of the dormitory and the world that surrounds each boy. It is perhaps emblematic of this that Karam constructs a “room” out of the area around his bed, and indeed within the carapace of his own personality. … Our sensory worlds are to a large extent defined by the presence of others. Each group of people has its own specific gravity — whether this be a crowd in a subway, a group of university students, or children in a playground. Even one or two people in a room change it as an environment. … Ideas do not develop in an orderly fashion; they begin with a notion that gathers authority until it is altered by experience or some new understanding. … At the school I not only concentrated on children for the first time, but I found myself preoccupied and puzzled by childhood itself. [ … ] … my filming suggested to me that adulthood was not necessarily a refinement of childhood — rather, that children might actually write the agenda for adults, and that adult society might more properly be regarded as a paring down of children’s discoveries. At the very least, childhood could be looked upon as a laboratory for the fundamentals of adulthood. … I have stressed this point not so much to defend it as to suggest how exposure to a field situation throws up all manner of refractory ideas. Films and filmmaking, I think, are valuable not so much for conducting theoretical arguments as for transporting the viewer into unfamiliar circumstances and creating more radical perspectives. … Others might well have arrived at such ideas simply by living at the school, but for me the act of filmmaking was crucial to arriving at them. I think that if I had not had the opportunities the camera gave me and experienced so much through using it, I should probably have accepted a more prosaic view of the school and its inhabitants. But the camera was constantly propelling me into new situations and changing my view of things. It is perhaps axiomatic that filmmaking, at least of this kind, does this, for before film can express ideas, they are a way of engaging with the world. I have left out all kinds of wonderful descriptions of the details of the making of the MacDougall’s five films on the Doon School.